April Showers Bring May…. Brocantes! 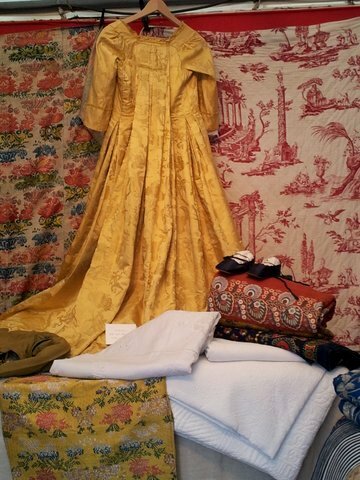 Today’s post is by Jennifer Balmadier, one of our Paris Diva Guides. She is a native to Boston, however she traveled to France most of her life helping her parents shop for their antique store. On one trip while attending a French friend’s wedding, the fates aligned and she met the Frenchman she would marry… You’ll have to have her tell you how if it weren’t for her mother-in-law, she might have married a French Duke instead! Utterly smitten, Jennifer gave up her career in insurance in Boston and moved to Paris for love. Her life story is romance on a plate. Once living in Paris she returned to her roots, sniffing through flea markets finding trinkets and treasures helping to buy for her parents, doing personal shopping which led to her becoming a Diva Guide. Her particular passion is vintage fashion (she got her first Hermès when she was 13 years old!) and she knows every vintage Chanel shop in town! She’s also wonderfully down to earth and has a dry humor that will have you laughing before you even hit the shops. She loves nothing more than sharing with Diva clients the ins & outs of Paris, teaching them the metro, telling them where to go to shop, wine or dine (or not) and letting clients know inside details on life in Paris… Details you can only learn from a local! Café aut lait bowls and French fabric, frills and buttons found at Paris brocantes. April Showers Bring May… Brocantes! Warmer temperatures bring all sorts of nice things to Paris: blooming window boxes, crowded terraces and our favorite at AD&Co Headquarters, brocante season! 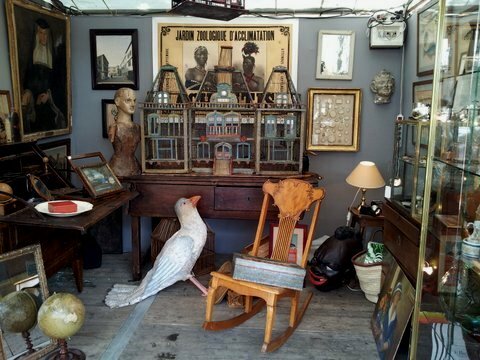 A brocante is a one-day or short-term flea market that pops up in neighborhoods around Paris (and the rest of France). Longer days and sunny skies are the perfect combination to start the day with a walk around a weekend brocante. Whether you are just browsing or want to do some serious damage, you will find the Parisians out in force. If early mornings aren’t your thing, most of the brocantes stay open until 7:00 pm making the perfect segue into apéritif hour at your favorite local terrace. Check out https://vide-greniers.org/75-Paris and http://brocabrac.fr/Vide-greniers-75 for a comprehensive list. In French, but you can search by date and district. 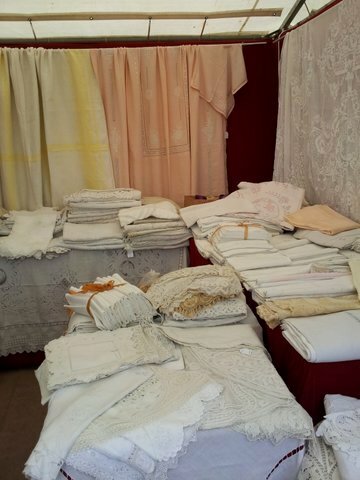 Just keep in mind that a vide-grenier is more like a garage sale, and a brocante will have mostly professional dealers. 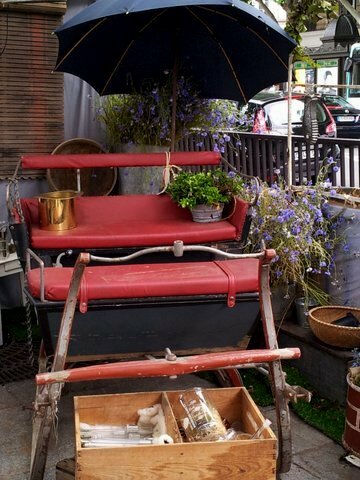 The city also has a clear website with some brocante information: http://quefaire.paris.fr/brocantes. Check out https://vide-greniers.org/75-Paris and http://brocabrac.fr/Vide-greniers-75 for a comprehensive list. In French, but you can search by date and district. Just keep in mind that a vide grenier is more like a garage sale, and a brocante will have mostly professional dealers. The city also has a clear website with some brocante information: http://quefaire.paris.fr/brocantes. Bric a brac and books at Paris brocantes. It is easy to forget the exact size of that space you need to fill, bring photos and measurements of anything specific that you have in mind. If you’re booking a tour – sending photos to your Diva Guide in advance of items that you like or are looking for is very helpful on a tour. Dress comfortably and don’t advertise that you are a (wealthy) tourist. It can rain on and off, even with a sunny sky, so always have your sunglasses and a travel umbrella handy. As logic dictates, arriving at a brocante at the start of the show will get you the best selection but dealers might be more willing to bargain if you go as they are packing up. Cash is king and brings you greater negotiating power, but occasionally vendors will take credit cards. Considering splitting a purchase between cash and credit for a better deal on larger items. Most things aren’t marked so it is always okay to ask the price. Just don’t start to negotiate if you aren’t sure you want the item as it is considered bad form. Always ask before taking pictures, whether to show your spouse for approval or for your scrapbook. It is a sign of respect to the dealer. If you are shipping things home (and don’t forget about our new Antiques Diva In-House Shipping ) you can arrange for the shipper to pay the dealers so no money changes hands when you are shopping. This old-fashioned custom also means that you “own” the item, even though no money has changed hands. Buying an extra suitcase and paying extra to send it on the plane with you can be a decent way to get purchases home. You might think you will remember the exact location of that vendor you wanted to go back to, but after awhile things start to look the same. Ask the dealer for their carte de visite. Usually they will offer to write a description of the item for you on this business card. If you want to remember the history and details of your purchase, ask the dealer to write it down. This can also come in handy at customs. Reproduction is not always a nasty word. Many French reproductions date back to Napoleon III based on styles from earlier periods, still making them true antiques. Last but not least, buy what you love. For many things the value is how much you love it. 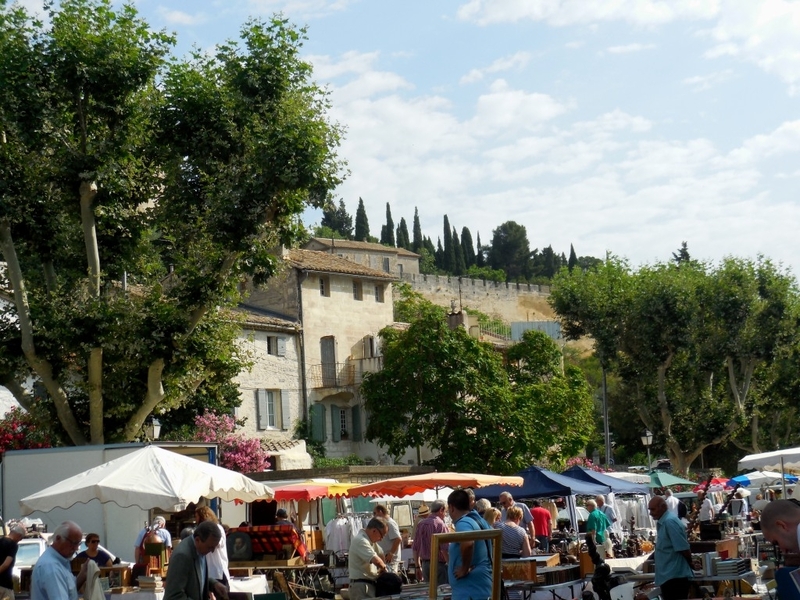 In France, flea markets are known as marché aux puces or simply, les puce, (the fleas). But googling “brocante” will take you off the beaten path to traveling flea markets that are only held a few weekends a year. They can be held anywhere from 1 day to a full 2 weeks. 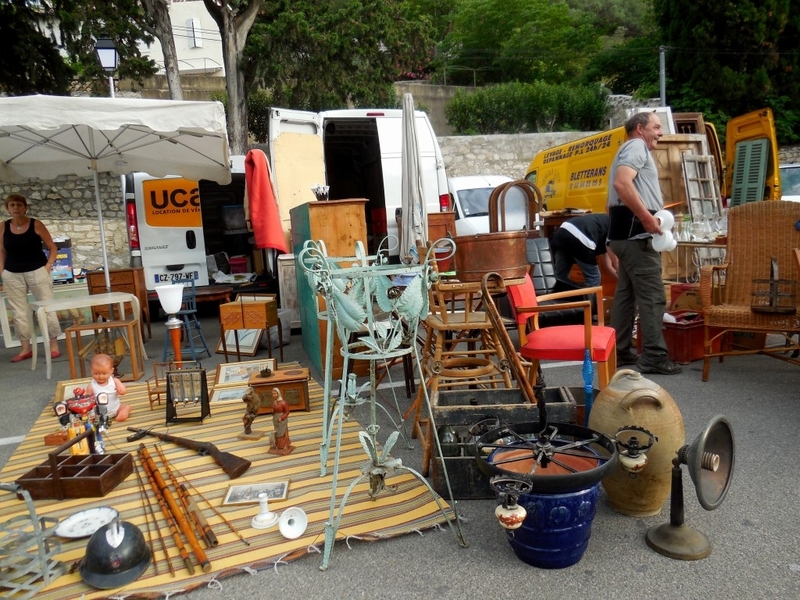 Bigger traveling flea markets in France will have billboards all over town advertising them – so when you see a sign stuck to a lamp post or a giant poster in the metro with the word brocante highlighted, get ready to shop! 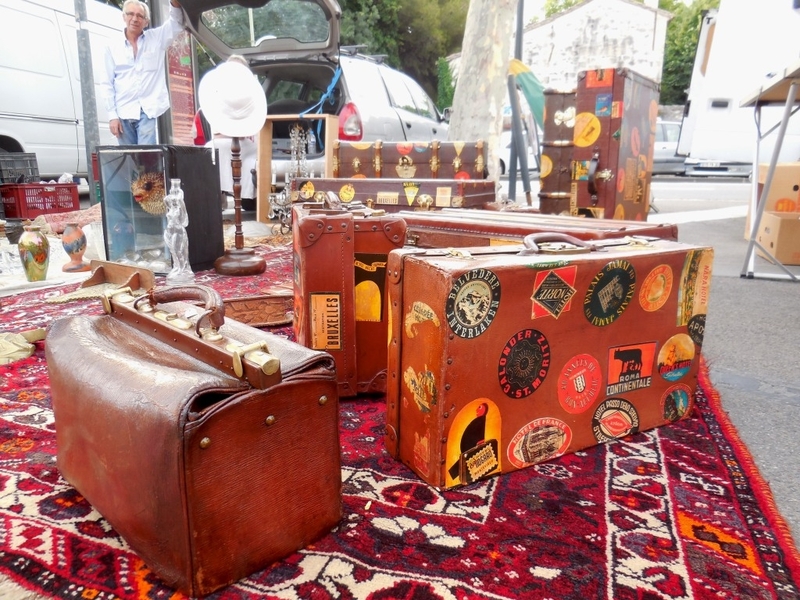 Brocantes attract vendors from all over France, selling everything from high-end antiques to vintage pieces and simply second-hand junk. Prices here are usually better and take you into neighborhoods you might never have reason to visit on your own. 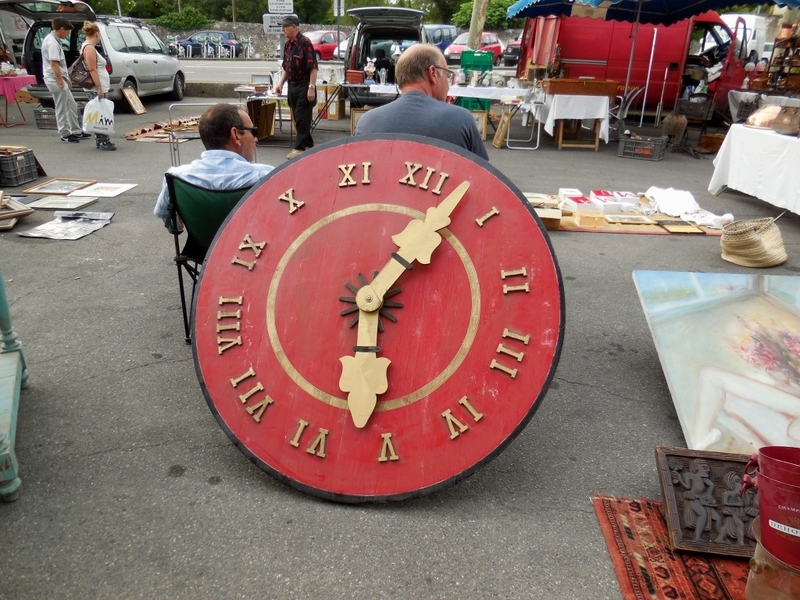 A great website for finding brocantes is www.brocabrac.fr. 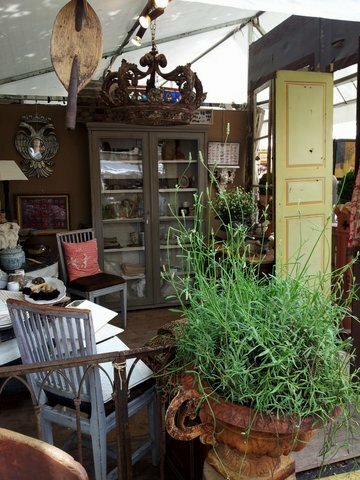 While the Paris Flea Market is a personal favorite and must-do (and The Antiques Diva & Co are the only official tour guides of Paul Bert Serpette at the Paris Flea Market), visiting other French flea markets in Paris and across France is ideal to shop for antiques and vintage pieces. Here are my top 3 brocantes in Paris – and my all-time favorite French flea market starts next week!! tip: Check out our Antiques and Design Markets and Fairs 2017 Calendar for flea markets in France and across Europe! 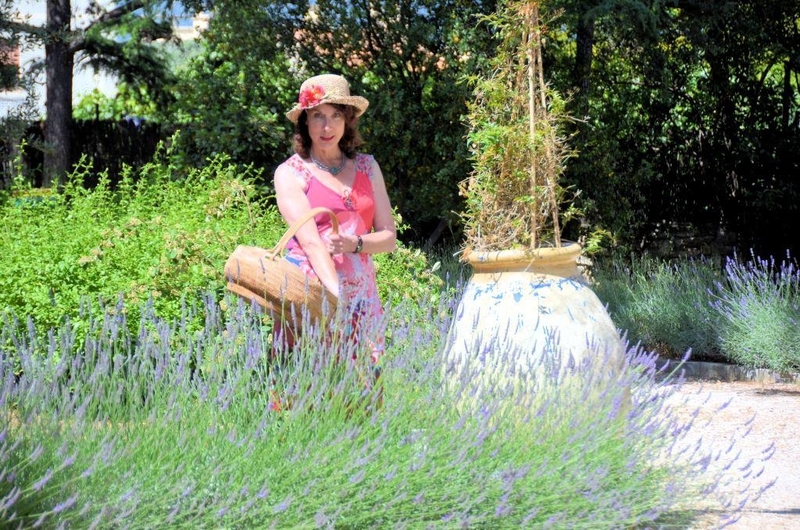 While there is nothing more fabulous than getting lost in France and discovering some place (or something) magical, shoppers in the know research where to go before traveling overseas. 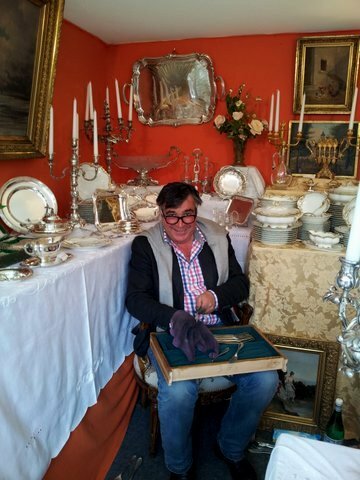 We suggest you book an Antiques Diva tour so you can shop on the arm of a local who knows the area like the back of their hands – plus more importantly – has relationships with the vendors which allows you to get the best prices possible when negotiating. But if you decide to give it a go on your own, be prepared and do your research. Google the cities where you’re planning to antique, using keywords for the antiques and vintage pieces you want to buy. 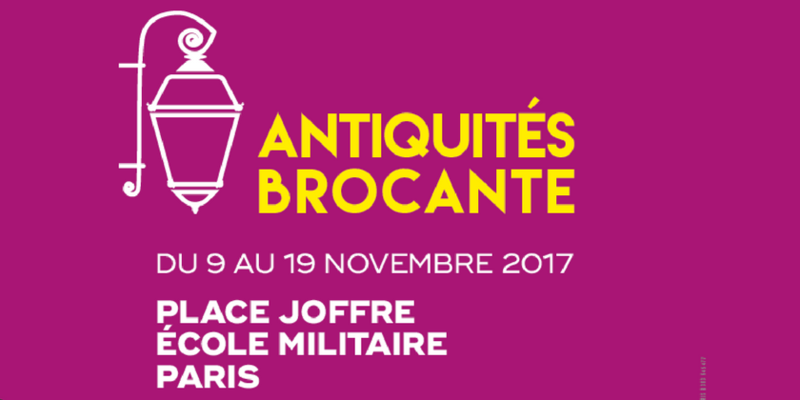 On brocabrac.fr you will also find vide-greniers – essentially attic sales – set up in the center of town with anywhere from 50 to of 1000s of people participating. These aren’t professional vendors, but instead they private people wanting to sell their goods – think of it as a town-wide garage sale where anything and everything is for sale. While you’ll have to dig through second-hand clothes and used toys you can also find gorgeous antiques going for a song! 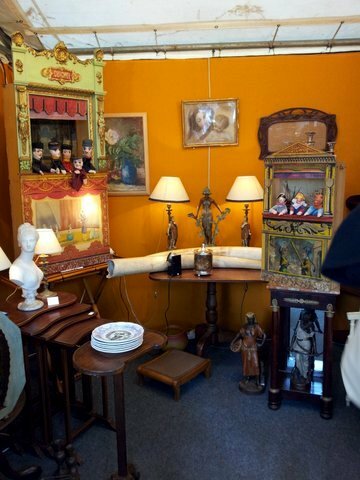 If you’re looking for high-end antiques you want to go to a salon des antiquaires – a step up from a flea market or brocante – which can have second-hand and decorative objects. This will be more high brow and have higher quality pieces – but don’t let that phrase scare you – there are still bargains to be had. Remember French antiques are often 3 to 5 times less expensive in France than they are in America or Australia. Something selling for 2,000 Euro in the North of France might go for $6-10K in the USA. You have to spend money to save $$$! Now that you know where to go whether it’s a puce, brocante, vide-grenier or salon des antiquaires you should know a few key phrases in French to get the ball rolling! Even if you don’t speak French, learning some basic vocabulary is worth it’s weight in golden Louis 15th antiques. Always start the conversation with a simple, Bonjour Madame or to catch the vendors attention try S’il vous plaît (SVP) Monsieur. Point then to the item you are interested in and ask how much it costs: C’est combien, SVP? or try Vous voulez combien? Ask how old it is? Quel âge a cette chaise? Ça date de quand? What wood it is? C’est quel type de bois? And where it comes from: Quelle est sa provenance? Don’t be shy – negotiation is expected. Ask for a good deal. Vous pouvez faire un meilleur prix? Will you make a better price? or C’est votre meilleur prix? or Vous pour faire mieux? Is that your best price? It’s best to ask the Vendor to tell you their best price BEFORE you offer a number – because sometimes they offer you more of a discount than you would have expected. If the piece is 100E and you ask for a best price, the vendor might come back and say 80E. You can then continue the negotiation – Will you take $70? Prenez Vous 70E? If said this way, the vendor might compromise on 75E. 25% is a reasonable amount to expect for a discount. Be willing to walk away in order to get a discount. Leaving then returning to the piece helps with negotiation… but beware… you might just return and find your item SOLD to someone else! Verify they are giving you the export price – C’est le prix pour exportation? Is it too expensive? C’est trop cher! (said while batting your eyes!) A good deal? C’est bon marché – C’est un bon prix – C’est raisonnable. I’ll take it! Je le prends! And don’t forget to say Merci! Au Revoir! 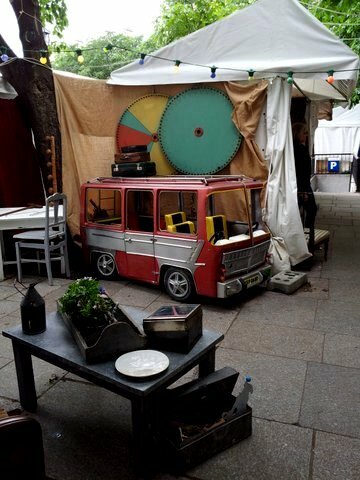 You know summer in Paris is officially underway when the brocante at St Sulpice comes to town. Ending on June 23, the market is held in the Place Saint Sulpice, named after the famous eglise which flanks its eastern side. Don’t worry if you missed the fair this year – you can always plan a trip next June as the fair comes to Paris each summer like clockwork. Movie buffs might recognize the name of this square as well – it played prominently in The Da Vinci Code. And, if you’re a French flick fan, you might be excited to know that the French actress Catherine Deneuve lives in a gorgeous flat overlooking the square. She’s often seen shopping in the neighborhood (and on more than one occasion we’ve bumped into her shopping this antiques and flea market). The square, built in 1754 as a tranquil garden in the Latin Quarter of the 6th arrondissement of Paris, is just as lovely today as it was 250 years ago. In fact, at the flea market (held this year from June 13 to 23) relics from the past remind us what life was like during those days of yesteryear. Antiques Diva Paris Shopping Guide Danielle snapped a few pics while shopping the market last week and we had to share this glimpse into Paris antiquing with you! 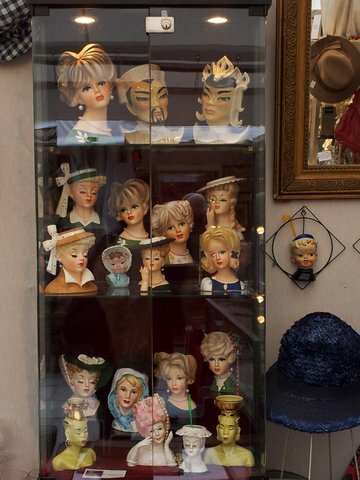 To book your Paris Brocante and Flea Market Tour email info@antiquesdiva.com for more information. 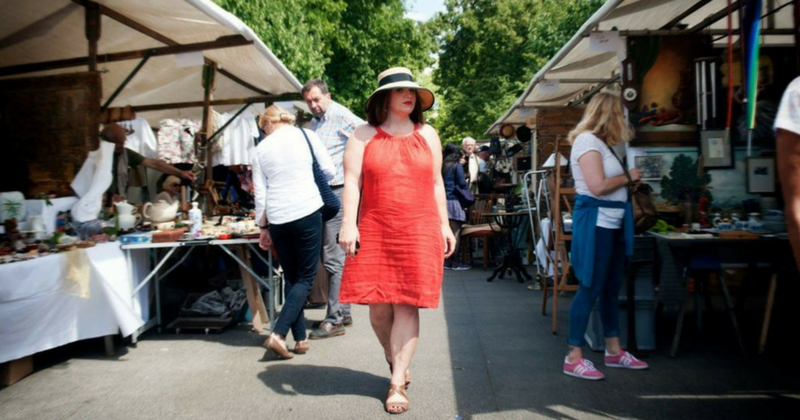 Don’t forget to ask to tour with Danielle to go off the beaten path into Paris’ best neighborhoods and brocantes.